Who among us wouldn’t love to be on vacation every day? 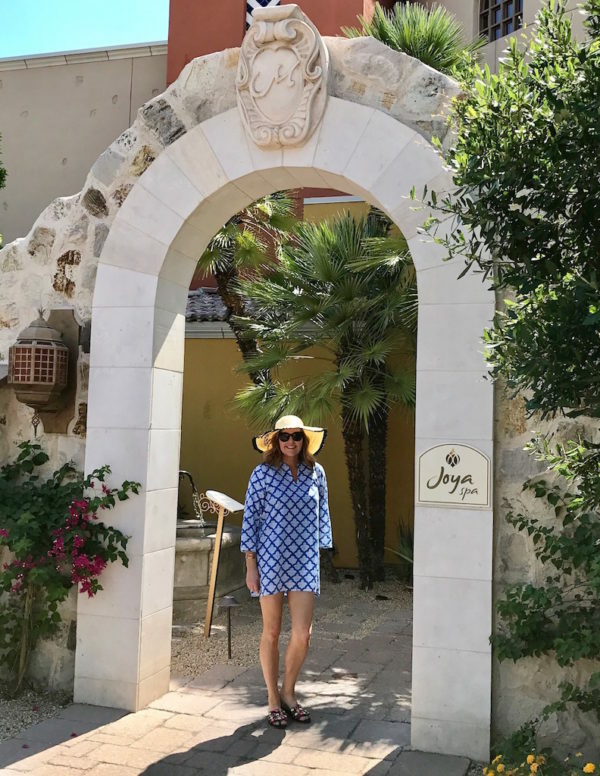 Vacations not only give us something to look forward to, but they are essential for recharging and making memories, whether it’s just you and your significant other or the whole family. Since life happens and we can’t always get away for a long trip, staycations are an awesome way to “check out” of your everyday grind for a night or two without the hassle of traveling. 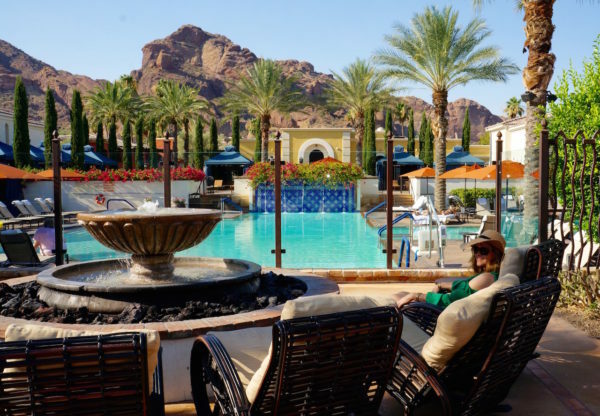 We are lucky to live in the Phoenix area where there are a number of award-winning resorts to choose from just minutes away from our home, plus during the summer there are incredible staycation deals galore! 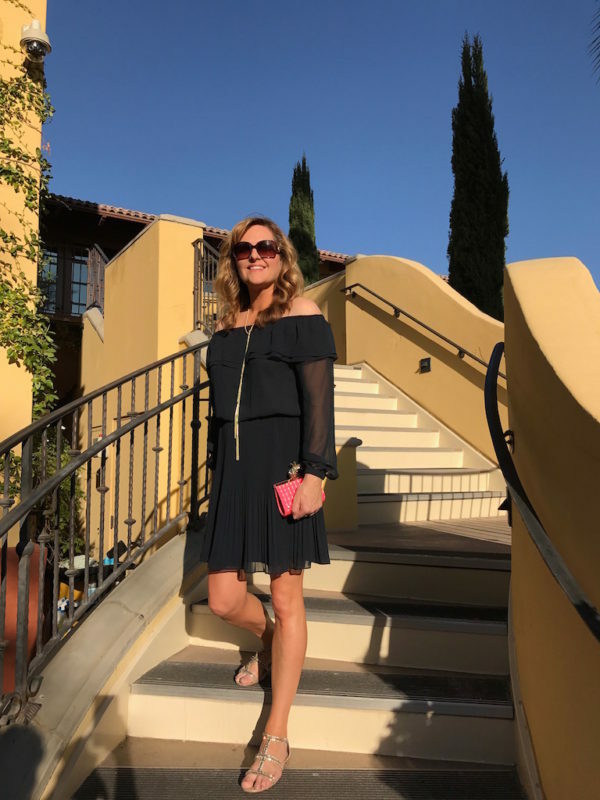 Hands down one of the most beautiful properties, and just 10 minutes away, is the Omni Scottsdale Resort & Spa at Montelucia in Paradise Valley. When they invited my husband and I to come stay last weekend, we were thrilled to have a little romantic couple time. 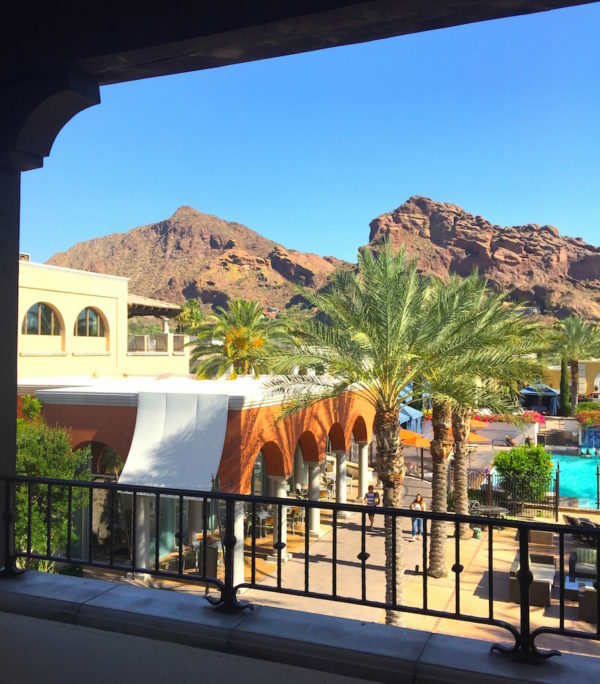 We checked in and were escorted to our lovely room, which had a stunning view of Camelback Mountain and the main pool — gorgeous! 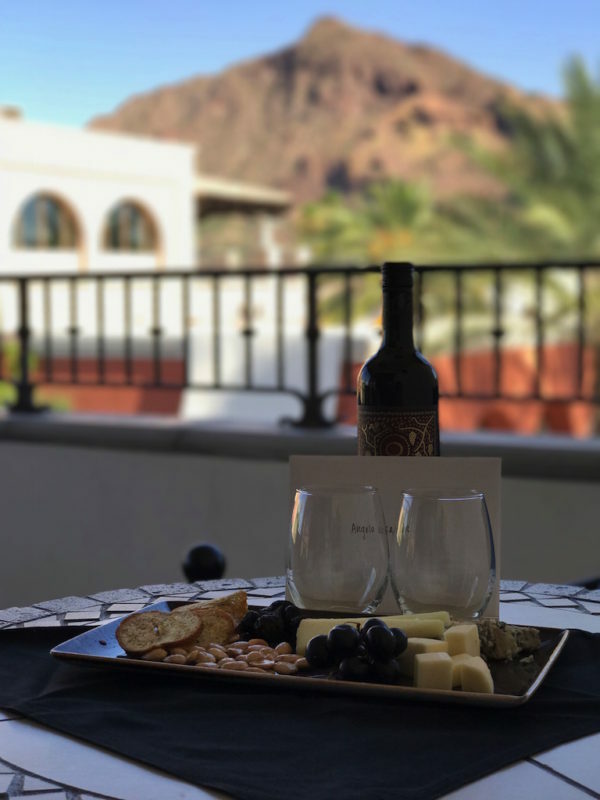 In short order, a delicious cheese board and bottle of wine was delivered to our room, which we enjoyed on our balcony while we soaked in the view. 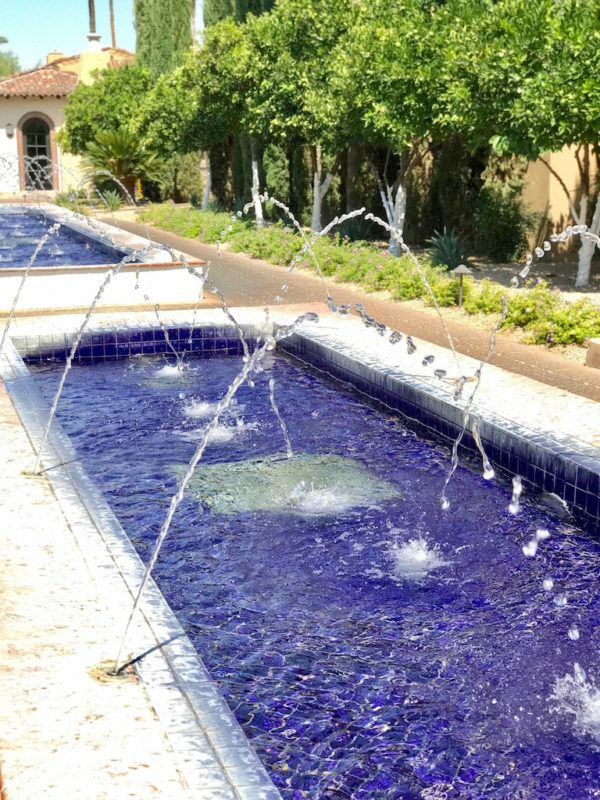 The warm and friendly Montelucia staff did an outstanding job of making us feel special. After walking around the property for a bit, we cleaned up, then headed down for dinner at Prado. If you haven’t been to Prado or it’s been awhile, you must go. 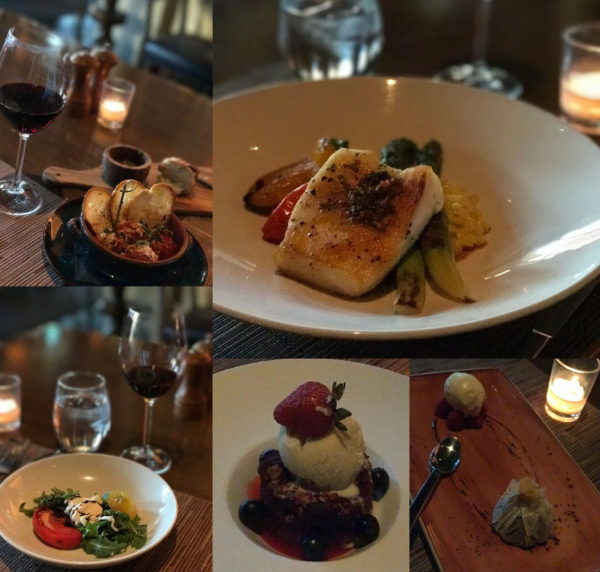 The food and presentation are incredible, and the atmosphere is celebratory and romantic. There was live music which is always a bonus! 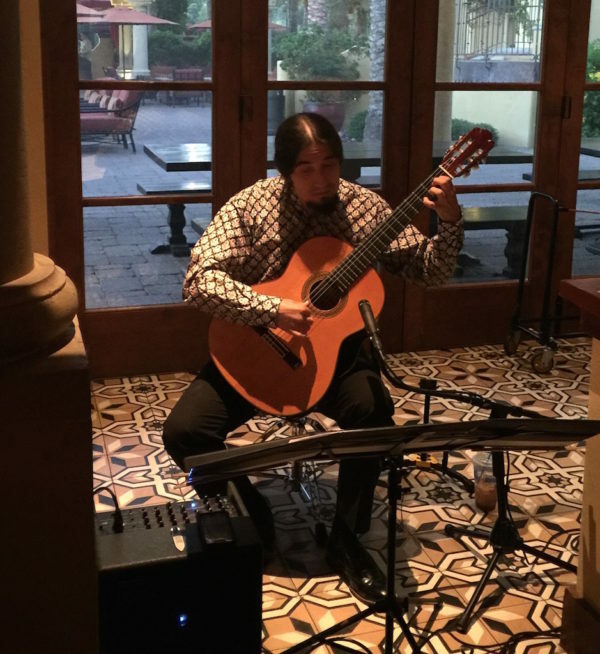 The guitar player was incredible and there’s nothing like live music to enhance your dining experience. We started our meal with Malbec (one of our favs) and the Albondigas (meatballs with spicy tomato and manchego cheese), plus the Heirloom Tomatoes — all delicious. For our entrees, Rob and I both ordered the sea bass special, which has to be one of the best cuts of sea bass we’ve ever had. Excellent. We finished off with dessert — the Wild Berry & Almond Crumble and the Hot Chocolate wrapped in dough with raspberries and gelato on the side. So. Good. We hung out for quite awhile just enjoying the music and more wine, before wandering around the grounds, which are extra pretty at night. We had a wonderful sleep and woke up to a beautiful sunrise on the mountain. After lounging around for awhile, we headed down for a lovely breakfast at Prado on the patio. 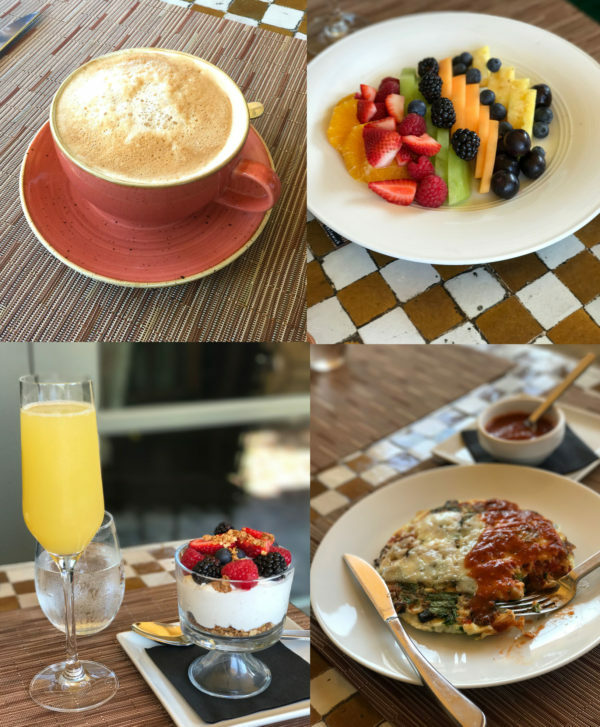 We recommend the Yogurt Parfait and Egg White Frittata. They also make an excellent mocha and of course we had to try the mimosas. 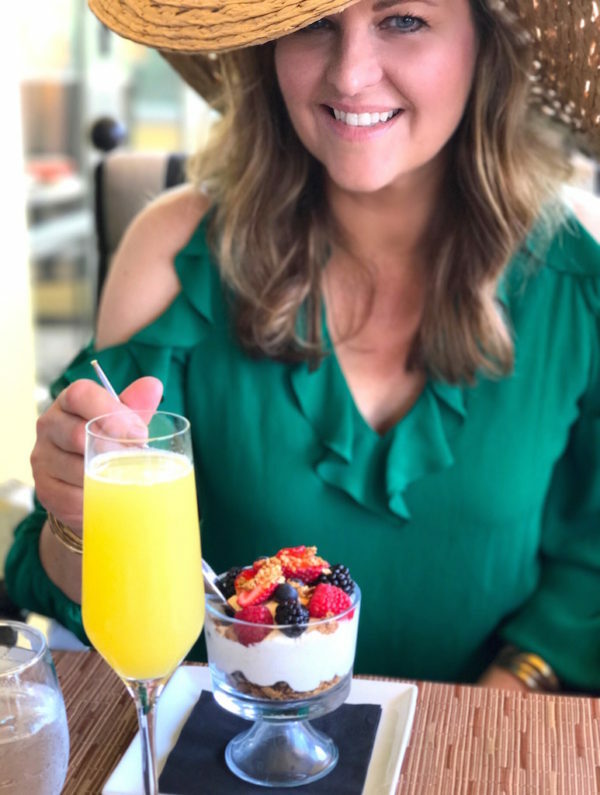 Prado also offers a Champagne Brunch on Sundays from 9 am to 1 pm, a great option whether you’re staying at the resort or popping in for a morning out. Details on this outfit here. 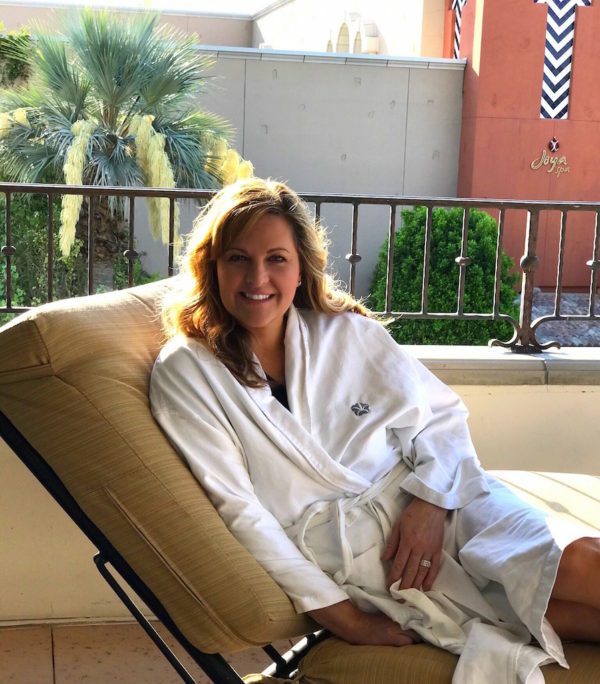 The Joya Spa is one of the best in the Valley, and having enjoyed numerous treatments there over the years, I highly recommend it. I especially love the Deep Tissue Massage, and the salon does an excellent blowout. 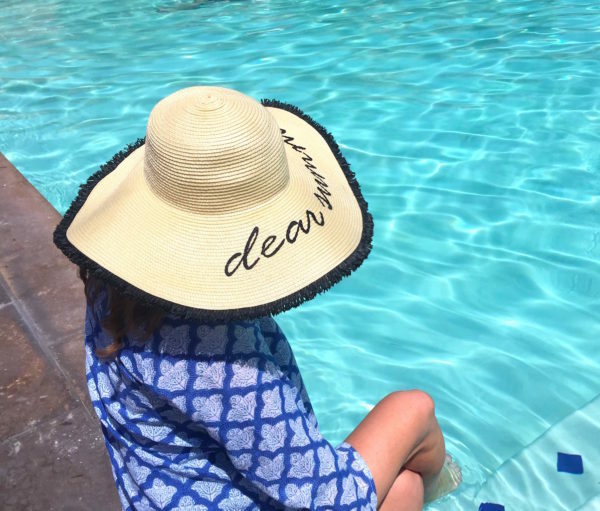 There are great “Summer of Spa” deals going on right now too — for more details, check on the spa’s website. 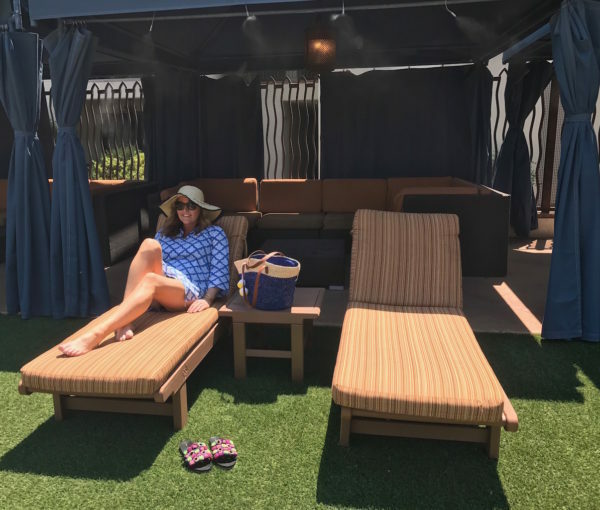 The resort had reserved a private pool cabana for us, so we enjoyed relaxing by the pool for the rest of the morning and early afternoon before heading back home. 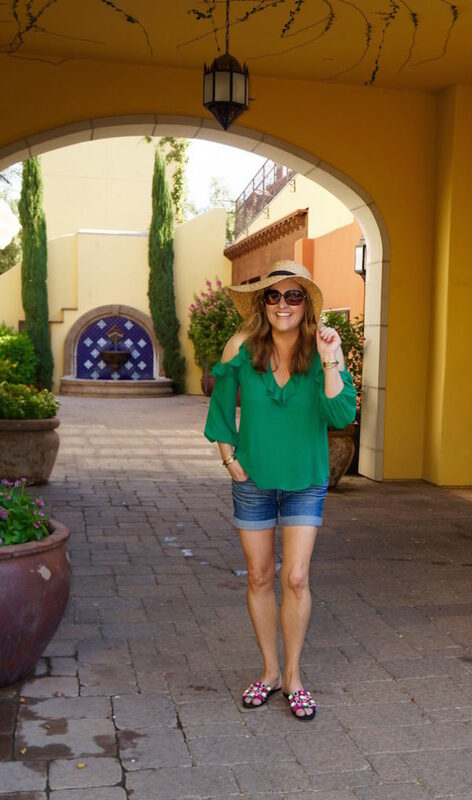 Special thanks to the Montelucia for showing us a great time! And… good news! 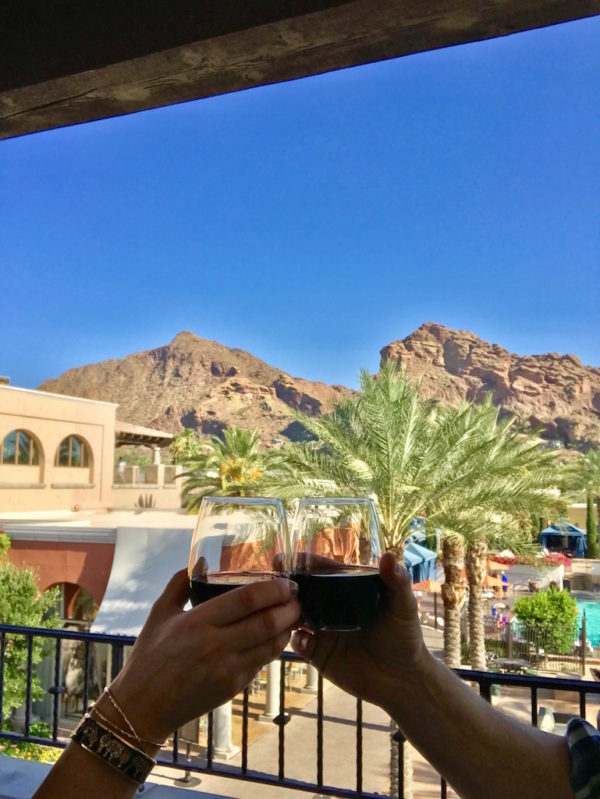 Right now, the Montelucia has incredible deals as part of their Sunsational Summer Package from June through September with rooms starting at just $129 per night. Plus, they have other packages and special discounted rates on longer stays — check it out here or call 480.627.3200. Do you have a favorite staycation spot in your area? Let me know in the comment section below. 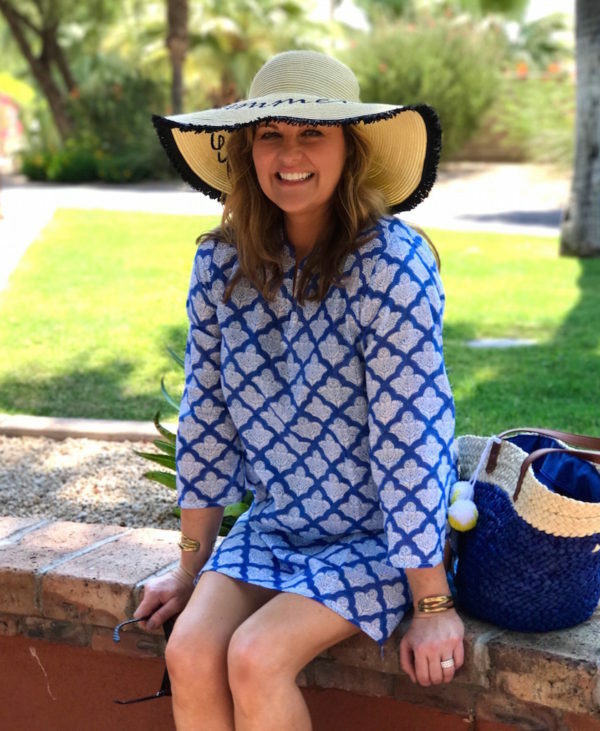 This post was sponsored by the Omni Scottsdale Resort & Spa at Montelucia. Wow, that looks like a fantastic staycation – I’d love to visit a great resort like that. All the pics are fabulous!